Enjoy a stay at Clouds End Villa and step back in time to meet with the Raj. Clouds End Villa is an excellent place to stay for an adventurous get-away with friends, a cosy family weekend or a quiet holiday on your own. 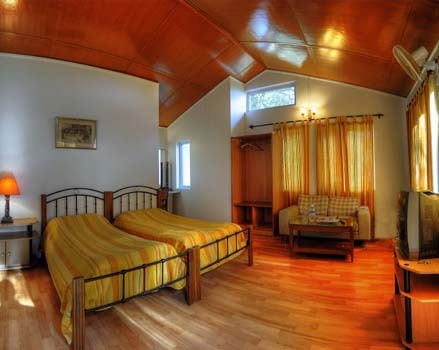 Clouds End Villa, situated between Dharamsala Kotwali bazaar and the Tibetan market in McLeodganj, is a sprawling 9 acre property with its own step fields, gardens and forests. It is the ideal place to laze around in the garden, read a book or write in the privacy of your cottage. Go for early morning walks, inhale the fresh mountain air, listen to the calls of many birds and make plans to return soon and never leave again.